Understanding authentic Chilean cuisine is more challenging than we expected. Chile is located in the southeast corner of South America and squeezed between the Andes and Pacific Ocean. It is only 240 km across at it’s widest point, but more than 4,200 km long covering an impressive range of geography and climate. In the extreme north, you will find Atacama desert, the driest and oldest desert in the world. In the center, you find fertile lands, beaches and mountains. The south is the area of lakes, forests and the glaciers of Patagonia and Antártica. Each of these regions have their own unique specialities making it difficult to identify one or two emblematic Chilean dishes. On our quest to understand the diversity and unique Chilean specialties, we decided to seek the perspective of top Chilean experts. Through the graciousness and generosity of friends, we connected with top chef, Rodolfo Guzman, famous for cooking with indigenous Chilean ingredients. 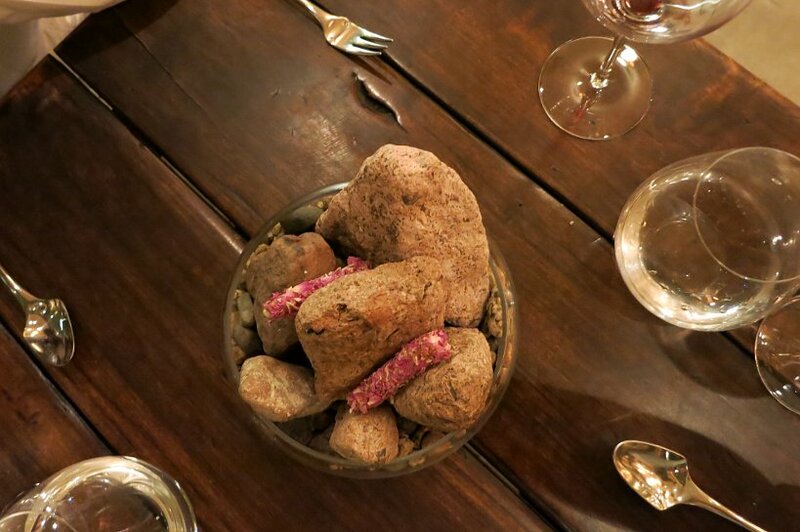 Rodolfo Guzman is Chile’s acclaimed chef who focuses on the use of local and native Chilean ingredients. 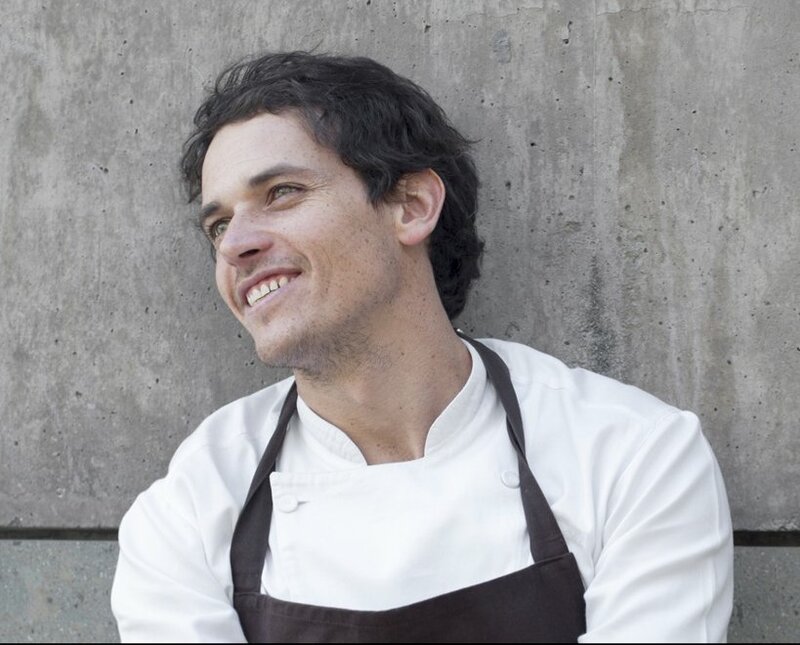 In 2015, Mr. Guzmán’s Boragó restaurant was named #2 in Latin America of the world’s 50 best by San Pellegrino. The first time a Chilean chef has been included on the prestigious list. Also in 2015, Guzman was chosen as the winner of the Chef’s Choice Award voted by his culinary peers. We were really excited about meeting with Rodolfo Guzman and learning about the native Chilean cuisine. We were set to meet at 3pm at Boragó, Rodolfo Guzman’s restaurant on a Friday afternoon. Pablo, the Communications Manager, met us at the kitchen lab located above the restaurant. Walking in, we immediately felt that something special was going on. The chalk walls had preparations and formulas written on them, resembling mathematical equations instead of expected cooking recipes. The kitchen shelves were filled with experimental conserves of different oils and vinegar. The wine cooler was used to make cheese out of carrots. It made for a creative atmosphere and it put us in the right mindset to meet with the chef. After being introduced to Rodolfo, we took his car and drove to his farm which is about 30 min drive south from Santiago in El Monte. This trip gave us time to talk with Rodolfo to get to know him as well as to understand his approach with Chilean cuisine. 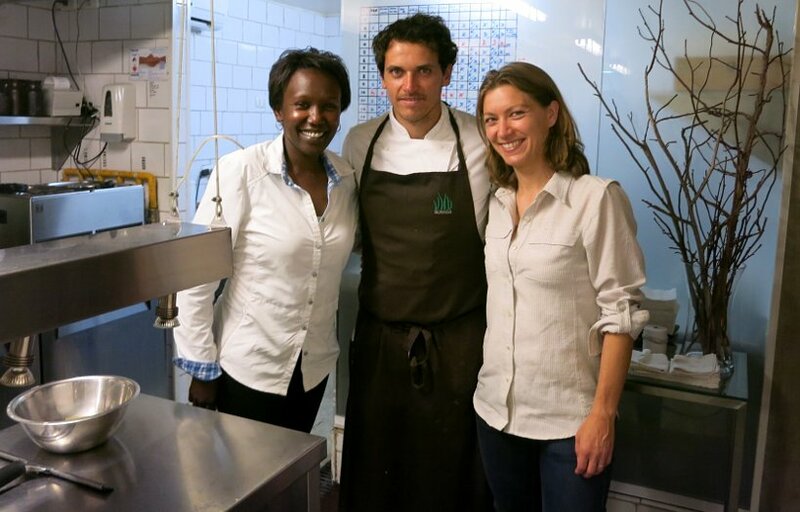 He went on to tell us that together with his team, they had spent 9 years since the restaurant opened in 2006 learning about the ingredients that exists in Chile. Specifically they learned about the products that were used by the Mapuches, the native population from Chile, for thousand of years. 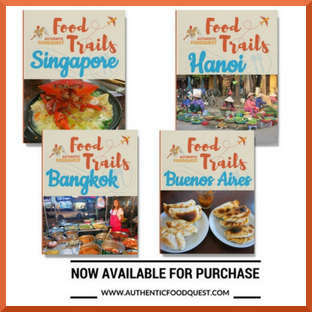 All of the cuisine revolves around using endemic ingredients that come from the farm or from the foragers that provide the fresh ingredients. 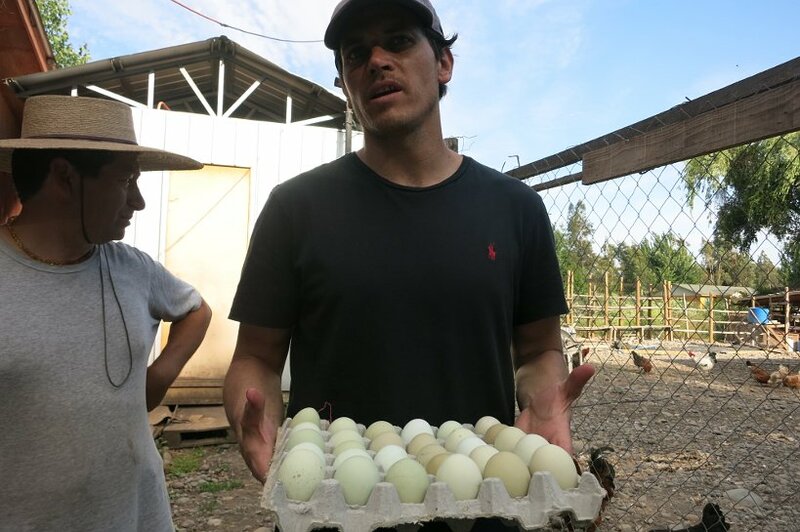 Rodolfo works directly with about 200 foragers. 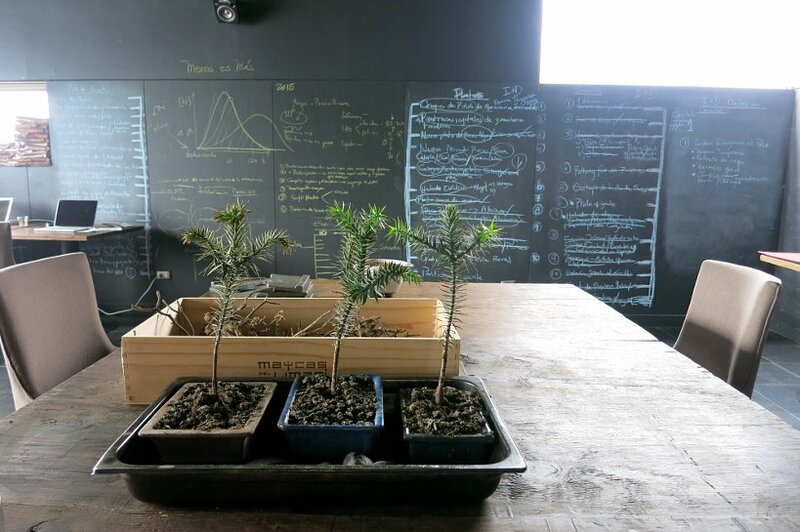 His continuous search and curiosity for the native ingredients raised the interest of biologist and botanics to the point where now he partners with the Pontifical Catholic University of Chile for scientific studies. 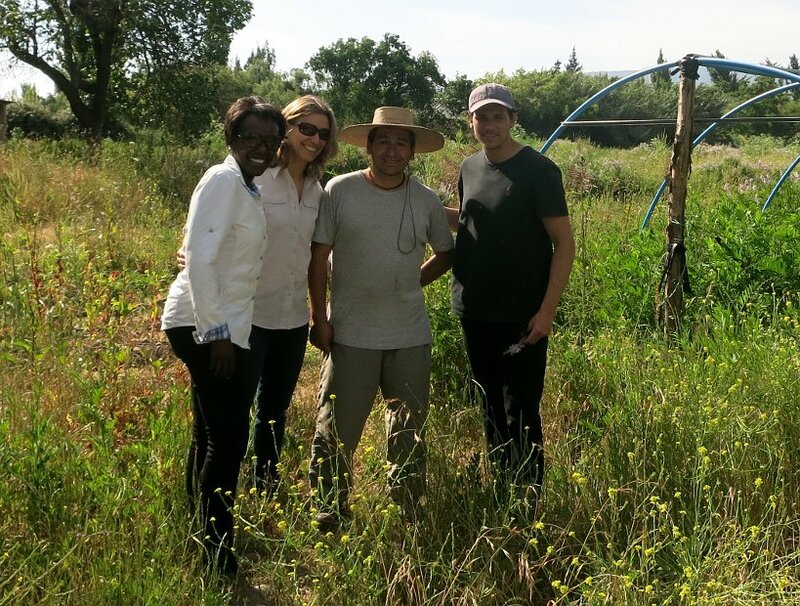 When we arrived, we were met by with Renato who is in charge of the farm. The farm is used for cultivating different plants, vegetables and grains that are used at the restaurant. As Rodolfo moved around talking with Renato, he had us try several flowers and plants that he uses in the preparation of the meals. 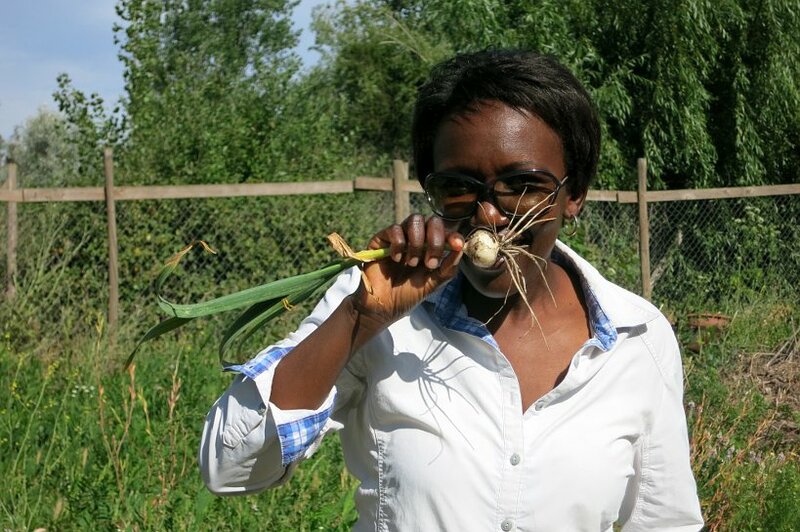 It was quite an experience to taste the raw plants and flowers directly on the farm. The farm was started in 2013 and it is a relatively small farm of about 1 hectare. It is not a typical farm as here things are naturally growing organically without fertilizer using bees and insects to protect the plants. There is also one cow and a few chickens to produce milk and eggs. 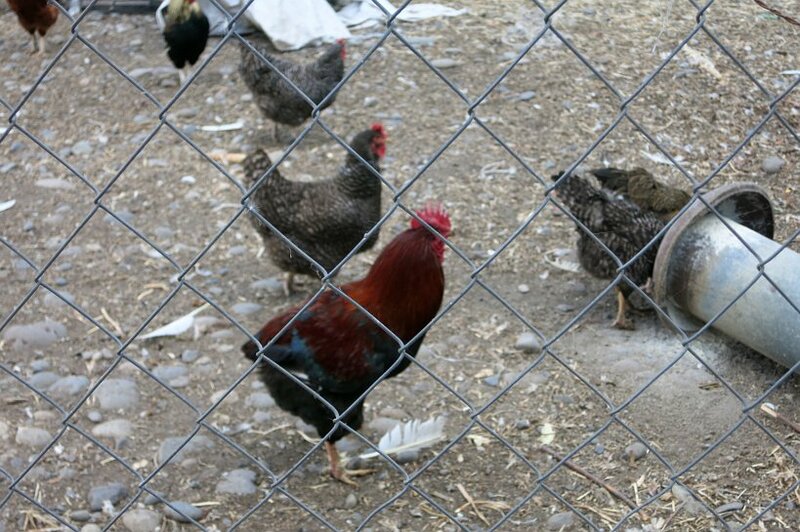 Some of the chickens are Mapuche species which can be recognized by their lack of tails. The most amazing thing is that they lay blue eggs! We spent a delightful afternoon with Rodolfo and Pablo who were very generous with their time. We found Rodolfo to be a very passionate chef, driven by the use of endemic ingredients inspired by the indigenous Mapuche. Needless to say that we learned a ton during our afternoon with him regarding the Chilean culture and its food landscape. After sampling some of the ingredients directly from the farms, we were ready to find out how they were used in the restaurant. We walked into the minimalistic restaurant and were offered one tasting off the tasting menu even before being shown to our seats. 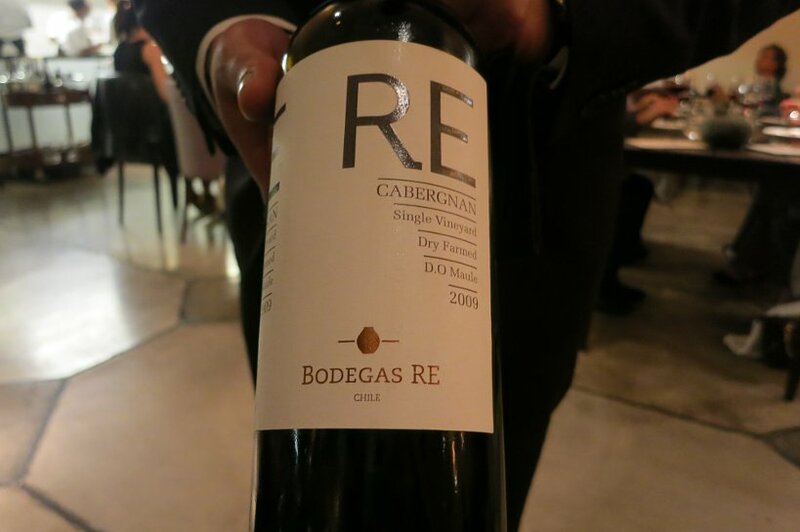 This is accomplished by the use of endemic ingredients, but presented in a contemporary Chilean manner. Earlier in the day, we learned from Rodolfo that the menu at Boragó is seasonal and the food that is offered is continuously changing based on season and availability. Menus are prepared daily and It is not unusual to have several hundred dishes in just one season. 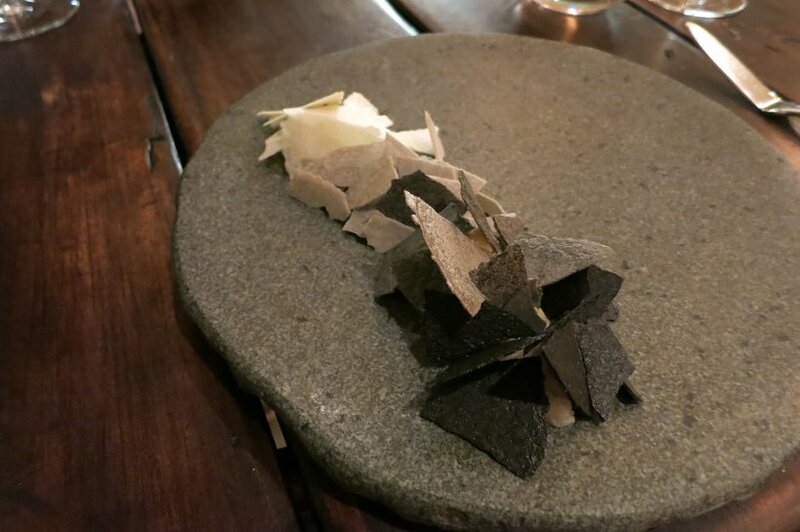 That evening, the restaurant offered 2 tasting menus which combine the best endemic products from Chile. Raqko which had 10 tastings and Endemica which had 18 tastings. 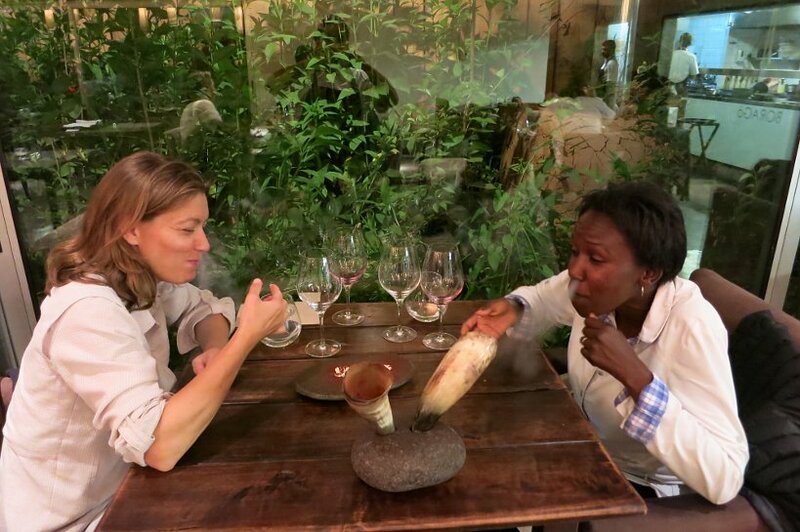 We decided to go with the 18 tasting menu to be able to get the full expression of Chilean cuisine. Rather than go through dish by dish, we highlight below our overall experience and a few of our favorite dishes. Every dish had a story to tell. Each time the different servers brought out a dish, there was a narrative that was shared. For example in the picture below of “Crudo of deer from Valdivia and Marqui from Patagonia. The marqui berry is native to Chile and it is known for it’s high anti-oxidant levels. 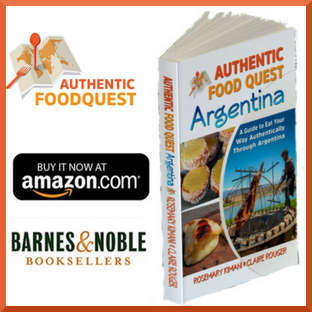 This berry has long been eaten by the Mapuche Indians who harvest it near the Andes Mountains. This berry was delicious and the combination with the deer was divine! We chose to go with the wine pairing which was highly recommended. All the dishes were accompanied by red and white wine from Chile. What was interesting about this pairing was the switching back and forth between the red and wines. There was no predefined sequence and each glass was a perfect complement to the dish. 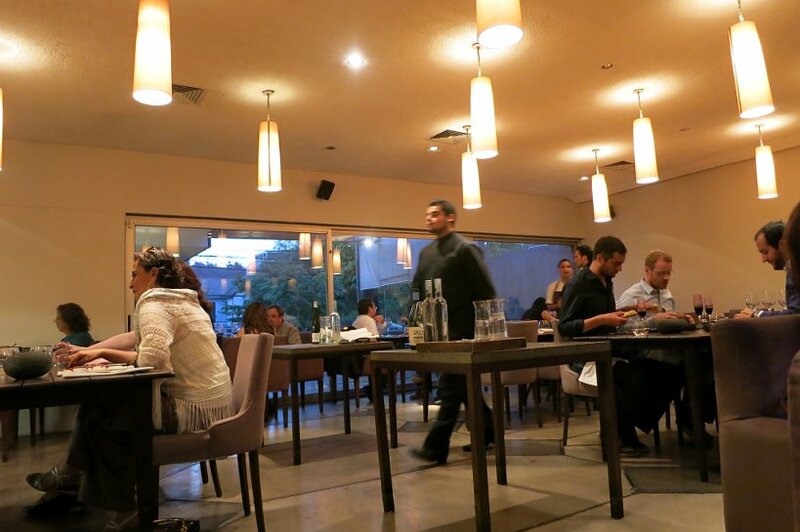 The restaurant was fairly busy for a Friday night and at one point all the tables were completely occupied. 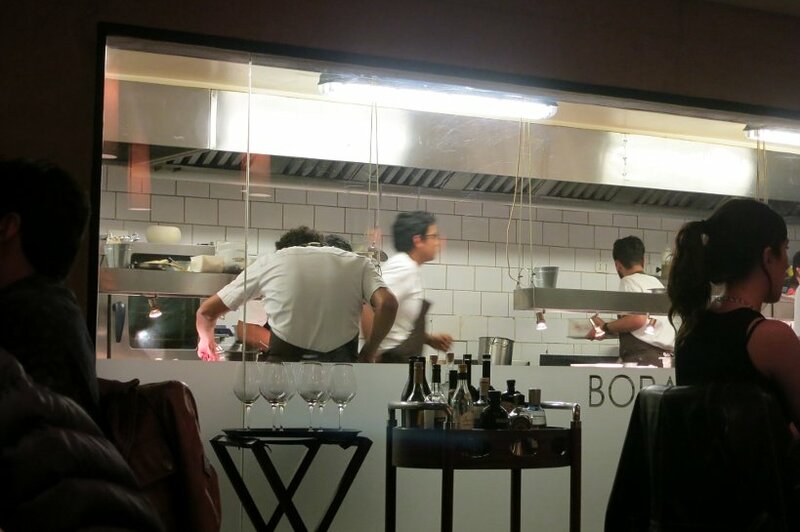 If you plan on eating at Boragó, you may want to book your reservation way in advance. The decor is simple and earthy with lots of wood and slate. You immediately get the feeling of nature in a warm and welcoming space. The service was excellent with very attentive staff ready to answer any questions or provide the much-needed guidance on how to eat some of the interesting looking dishes. 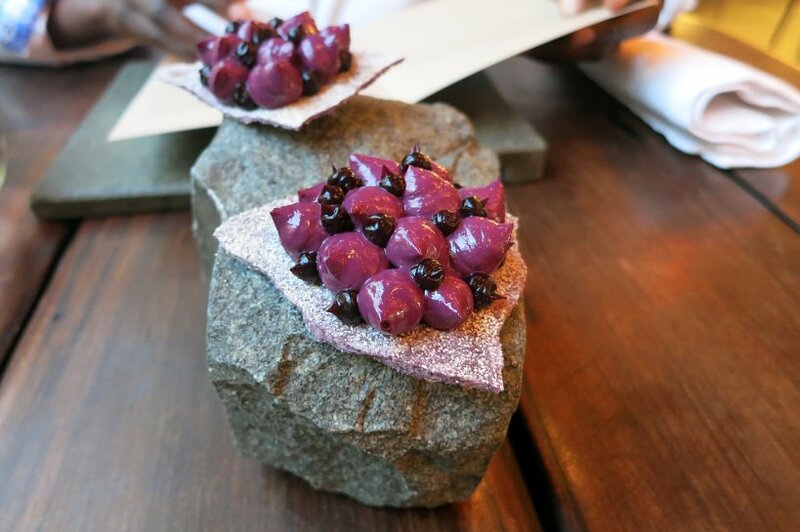 One of the most creative dishes we enjoyed was part of the Rock sequence. This was rock puree and rock broth from Isla Negra (where Chilean poet Pablo Neruda resided). 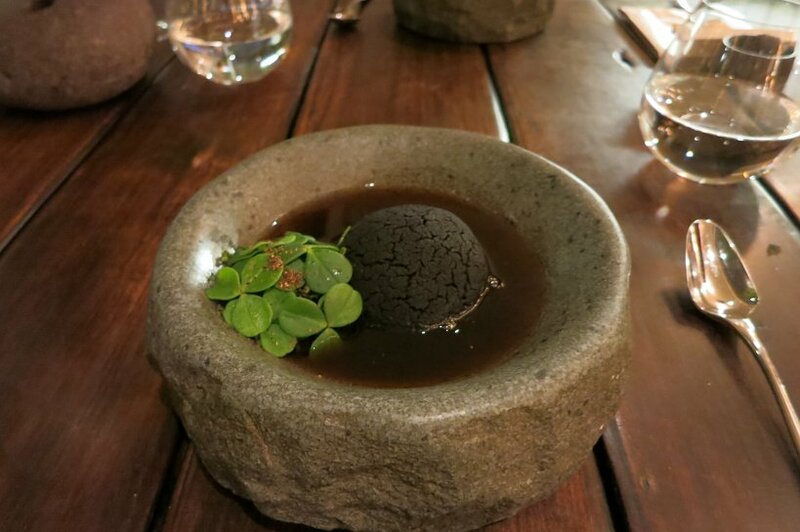 This dish was a rock bowl with another rock inside it covered with a puree. 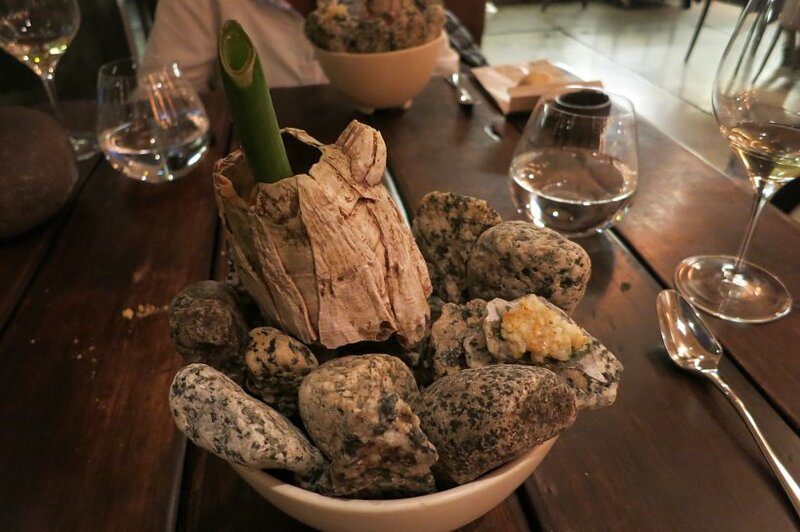 A broth was poured over the rock which was absolutely delicious. You had to scrape the puree off the rock and then soak it in the broth before eating it. A really exceptional presentation and dish. Another interesting dish that we had was the Punta de Tralca by levels. Presented on a large slate plate were different colors of chips. Underneath the chips were different preparation representing the progression of the sea. Starting with the sandy beaches and going further into the deep dark sea. Our two favorites were the centolla or king crab and the locos or abalone (which we wrote about in a previous post). The unique presentation with the progression of colors and flavors made for a delicious sensorial experience. The most viscerally engaging meal was one of the desserts called Frio Glacial. Inspired by the glaciers of the south, this dessert had to eaten immediately. We put the ball-shaped dessert into our mouth and were met with an explosion of gases. Unexpected and lots of fun. Spending time with Rodolfo Guzman and learning about endemic Chilean cuisine was an incredible experience. We had struggled to find the most popular and emblematic dishes of Chile to highlight and we finally understood why. The geographic and climatic diversity found from the north to south means that there are numerous specialties based on region. Taking a culinary tour of the country at Boragó is definitely the best way to go. What impressed us most about Rodolfo Guzman is his passion and vision. 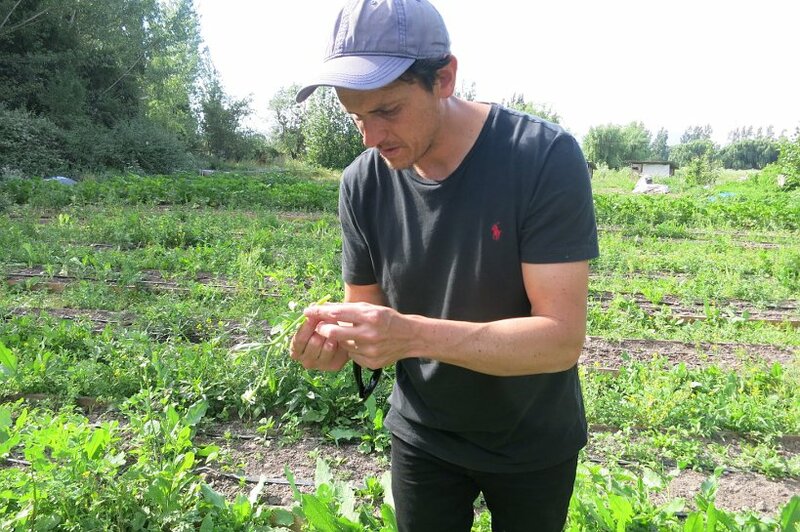 His vision extends beyond his restaurant and calls for a return to and respect for the use of native and endemic ingredients. He shared stories with great pride of chefs working under him who had left to start their own restaurants and using locally available ingredients. Our conversation was similar to one with had with Sebastien Rubis, Culinary Director at the Rosewood Luang Prabang, where he uses local produce to showcase Royal Laos cuisine. What we took away was a call to arms for the respect of nature and use of locally available ingredients. As we get into the holiday season, and with many celebrating at restaurants we encourage you to choose local. 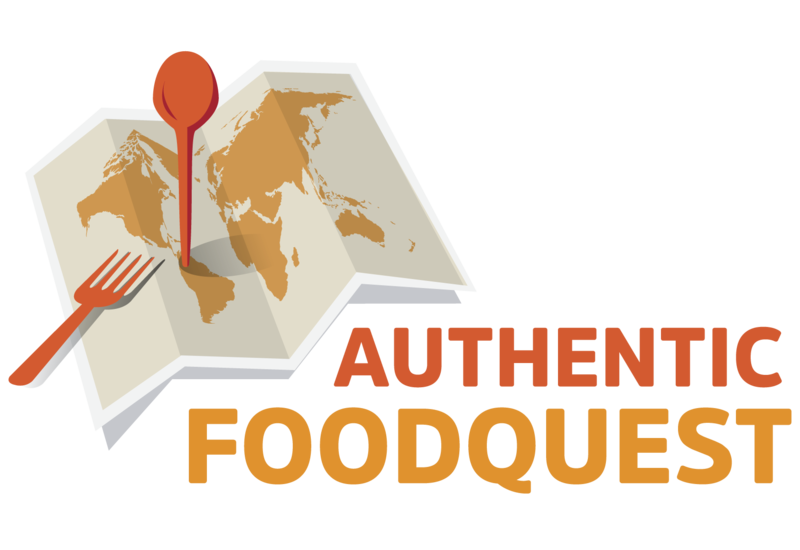 Opt for the restaurants that celebrate local ingredients and cuisine and let’s join for the preservation and use of endemic ingredients. What a fantastic experience. I like the idea of using local ingredients as much as possible. The food tastes so much better, and you support local communities as well. I was expecting a more traditional approach to Chilean food and this was a nice surprise. I’m definitely saving this post for a future visit to Santiago. Thanks Ana. It was an absolutely amazing experience. 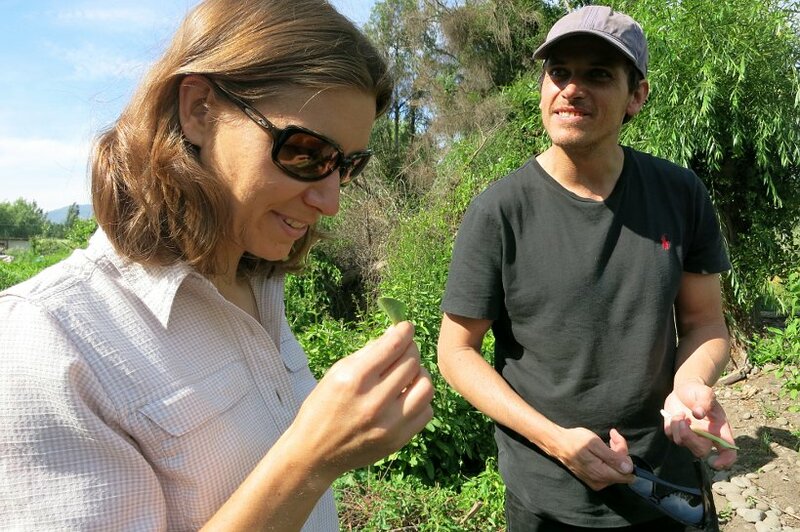 Not only to learn about Chilean food, but to see how it is grown in nature. The approach to using endemic products is admirable. You got to have such an amazing experience! It was basically your own personal episode of Chef. I don’t know much about Chilean food and it’s great to learn a little more about it. Thanks for sharing. Thanks Megan. It was quite an honor to spend so much time with chef Rodolfo Guzman learning and seeing him in action. Passionate and committed chef. A real inspiration. I love Chilean food and wine!!! My partner is Chilean, so this is a post I love already because it’s about Chile 😀 Thanks for sharing! Thanks Jey. Indeed the food and wine is delicious. The people are also very friendly and approachable. Glad you like the post. The Frio was amazing. It disappeared in an instance though. 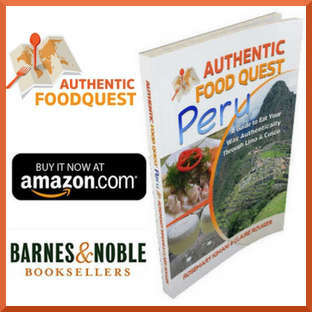 Great experience and looking to showcase authentic Chilean cuisine. It was great to experience the range from the country:) Thanks. What a great experience! I’m sure having his own farm is part of his success, it all comes down to high quality ingredients! Agreed!! High quality ingredients are key!! The best part is that Rodolfo Guzman also works with about 200 foragers who provide him with native or endemic products. He gets to preserve the culture as well as create jobs! A win-win all around. 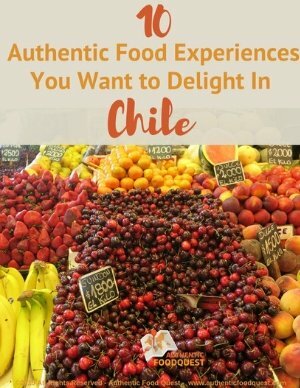 This post has really piqued my curiosity about Chilean cuisine- it seems very unique and nothing like I’ve ever tried. Thanks Natasha. Chilean cuisine is indeed really different and worth seeking out. Make sure to try it with the fantastic Chilean wines. Glad the post shed a new perspective. Very interesting! Particularly enjoyed reading about the story behind the restaurant and, obviously, about the Chef. Thank you Hugo for your comments. We really had a great time learning about endemic cuisine in Chile. Glad you enjoyed the post. That is just the kind of thing we like to do when we travel. I love Chilean food and his looks really creative and incredible. It’s so awesome that you got to spend a day with the chef and see how things are done there, and then experience the food at the restaurant. I would love to do that! Thanks Laura for your feedback. What is your favorite Chilean dish? Spending time with Rodolfo Guzman was a treat and a learning experience. 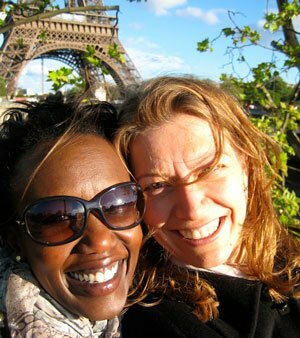 It was wonderful to have the opportunity and experience. Thank you. What an amazing food experience. The Rock sequence of dishes sounds truly unique! 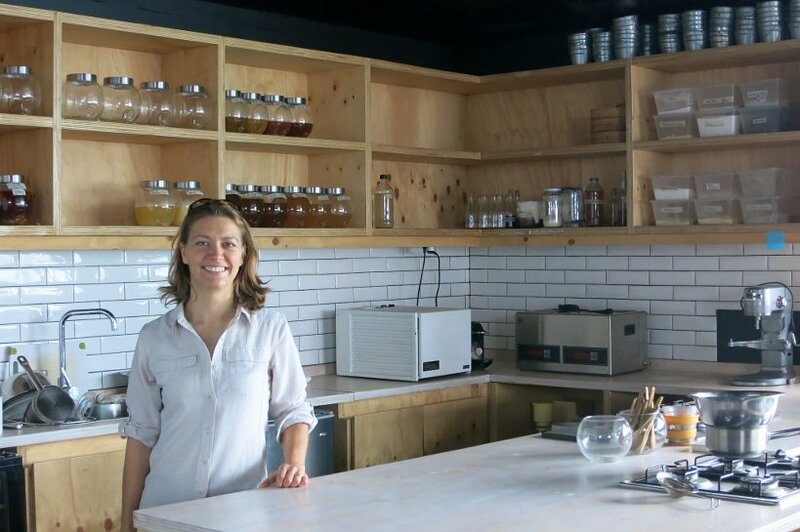 I would love to visit this restaurant on a future trip to Chile – thanks for the tip. Thank you Claudia for your feedback. The creativity and food was truly one of a kind. Do check it out on your future trip to Chile. Reservations highly recommended!! This seemed like half culinary adventure and half being mad scientists for the day! I have to say, this might be the most unique food experience I’ve ever heard about! But I mean that in a good way. I had never given Chilean food much thought before, to be honest, and now I can’t get it off my mind. Thanks so much Vanessa for your comments. It was a great time especially seeing a top chef “at work” on the farm. The food is incredible. Seek it out, you will not be disappointed. Cheers!